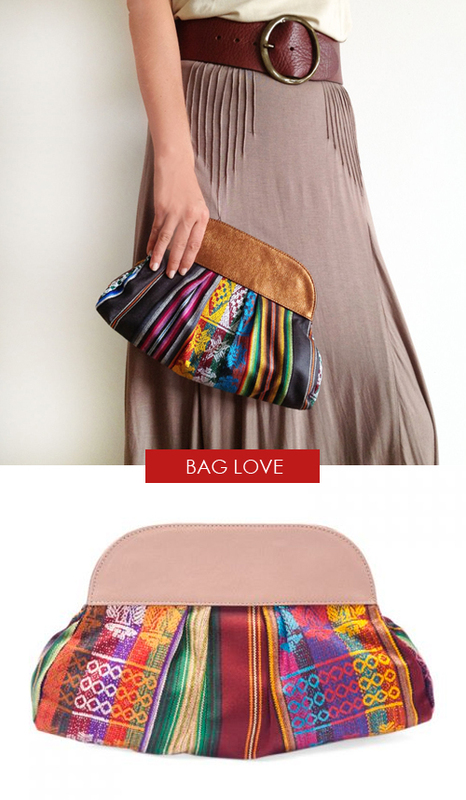 Today I’m loving .. this multicolored handwoven clutch made in Colombia. De rok is ook erg leuk! I like the skirt too! The bag is nice, but the skirt is fabulous. Any idea where it’s from?